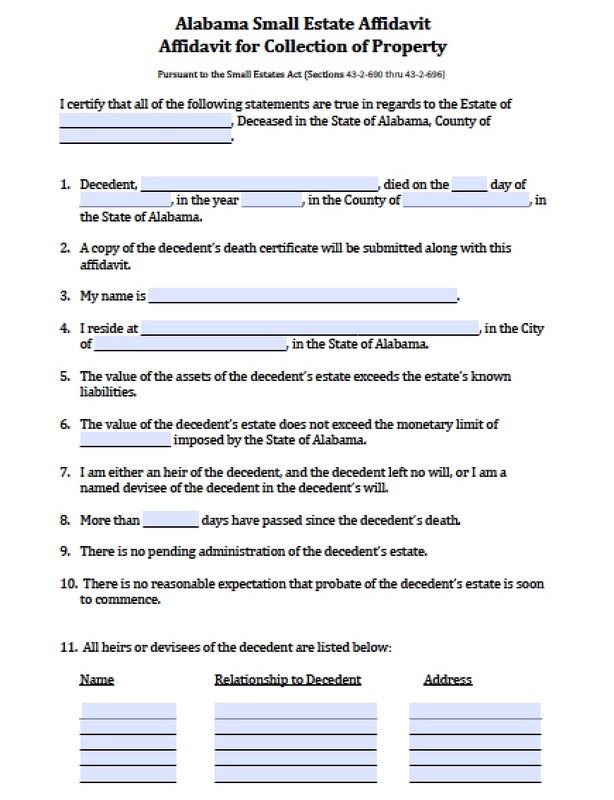 The Alabama affidavit of heirship is a form that may be used when a loved one dies and a person is the rightful heir and chooses to bypass the probate process in order to obtain possession of real estate. 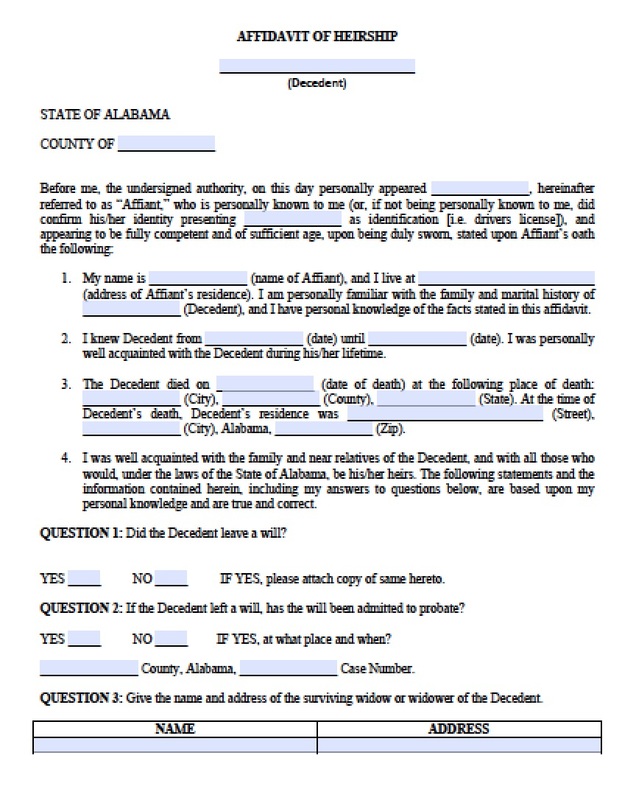 This form may only be used by family member(s) or a spouse and must be completed by at least two (2) individuals that knew of the individual that died. After the form has been completed it may be processed at the County Records and an individual may obtain deed information by Searching Land Records in Alabama. Step 1 – Download the form in Adobe PDF or Microsoft Word. Step 2 – In the header enter the name of the person who died. Step 3 – Enter the county where the document is being filed. Question 8 – Did the decedent have any adopted or step-children in their home before passing? Question 11 – What is your relationship with the decedent? Question 12 – How long have you known the decedent? Signature – The affiant must sign the form and it must be completed in the presence of a notary public.